St. Innocent of Irkutsk Orthodox Church is a warm, vibrant, English-speaking, multi-ethnic and multi-racial, new-calendar parish under the Patriarchate of Moscow, comprised of families (many with young children) and single people spanning four generations. 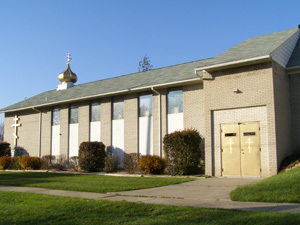 The parish was founded in 1967 in Redford Township, on the western edge of Detroit, adjacent to Dearborn and Livonia. 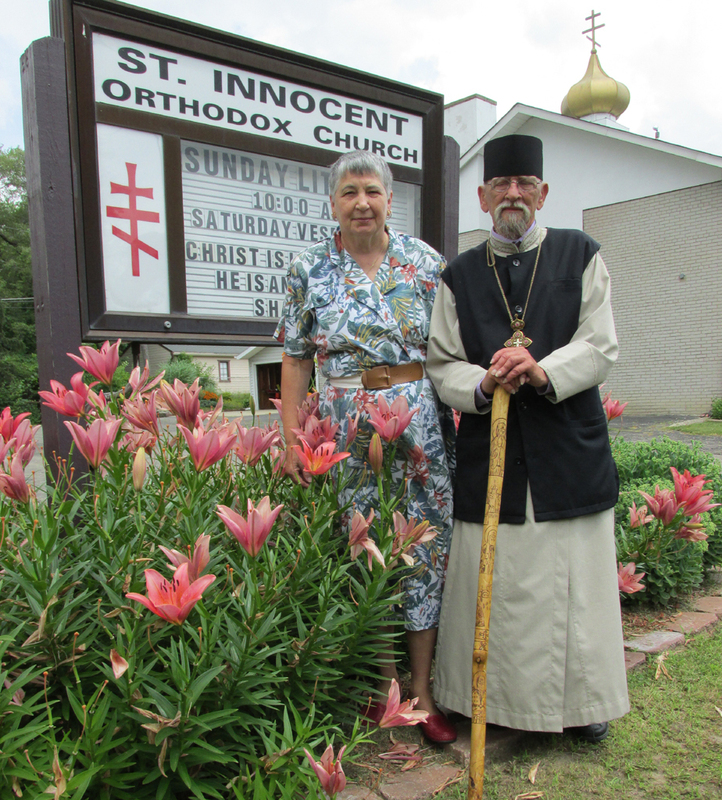 The parishioners are of many different traditional ethnic Orthodox backgrounds, including Carpatho-Russian (Russyn), Russian, Ukrainian, Galician, Greek, Eretrian — and at times has also included people of Romanian, Arab, Chaldean, Serbian and Macedonian heritage— plus numerous converts of various Western European and African-American backgrounds. Founded on 3 March 1967 by the Rev. Fr. 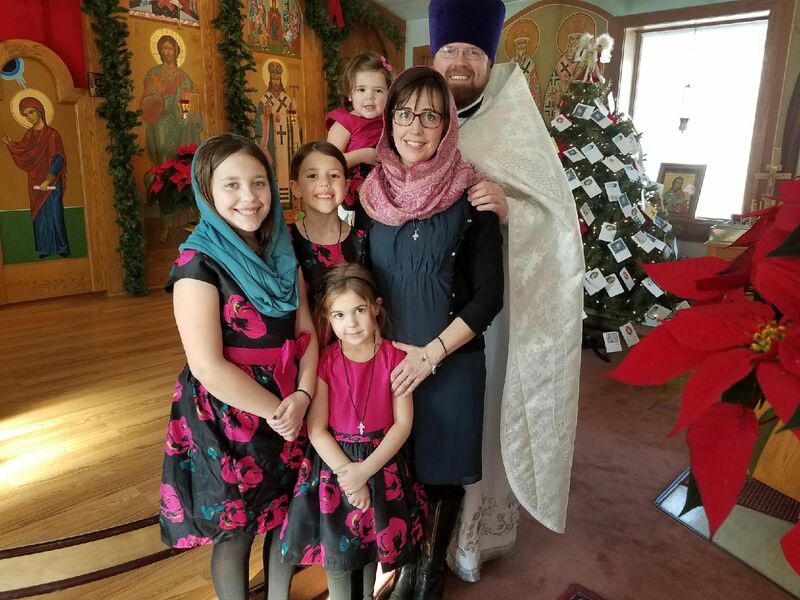 Igor Burdikoff and a group of sixteen families, with the blessings and support of His Eminence, Metropolitan John (Wendland), St. Innocent of Irkutsk Church was established as the first all-English-speaking parish in the Metropolitan Detroit area. A church with an attached rectory building owned by a Baptist congregation was purchased, and transformed into an Orthodox Temple. Five years after the founding of the parish, during the pastorate of Rev. Fr. Mark Odell, icons for the iconostasis were written by Mrs. Katherine Ulanowski, a member of the parish, which were blessed by His Excellency Bishop Makary on 5 February 1972. On 15 June 1974, when Rev. Fr. Vladimir Demschuk was Pastor, Bishop Makary blessed four additional icons by the same iconographer. In 1980 fire destroyed the St. Thomas Albanian Orthodox Church and St. Innocent parish accepted them to worship together at St. Innocent. On 4 October 1981 an arson fire destroyed much of the St. Innocent Church. Under the leadership of the V. Rev. Archpriest Basil Karpelenia, the pastor at that time, and with characteristic determination and hard work by the dedicated parishioners, the church was rebuilt. A new iconostasis and altar table were installed, which were consecrated on 12 March 1983 by His Excellency Bishop Clement. On 16-18 May, 1984, during the Fourth Patriarchal Parishes Convocation in Detroit, Michigan, His Eminence, Archbishop Platon of Sverdlovsk and Kurgan, presented to St. Innocent Church the four main icons on the iconostasis (Christ, the Theotokos, St. Innocent and St. Nicholas) as gifts from the Russian Orthodox Church, which were installed and blessed. Rev. Fr. Roman Star had just become the new Pastor a few weeks prior. During these first sixteen years of St. Innocent’s life as a parish (1967 – 1983), six priests served as pastors, including: Rev. Fr. Igor Burdikoff, March 1967 – September 1969; Rev. Fr. Mark Odell, July 1970 – January 1974; Rev. Fr. Vladimir Demschuk, January 1974 – 1977; and V. Rev. Fr. Basil Karpelenia, 1977 – 1983, plus two others for very short periods. In June 1984 a new and more stable chapter in the life of St. Innocent Parish began with the arrival of Rev. Fr. Roman Star and his family, who has served with self-sacrifice, dedication and love for God, His Holy Church, and his parishioners ever since. On August 29, 2004 the 20th anniversary of his Ordination and Pastor of St. Innocent was joyfully celebrated; in 2009 Fr. Roman's 25th anniversary was commemorated; and 2014 marked his 30th anniversary. During the past many years, since his arrival in 1984, liturgical life has expanded; attendance at Divine Services increased; education for children and adults developed; two more Readers were tonsured; instruction for readers, converts and non-churched immigrants has been conducted; and many charitable works have been performed. On November 12, 2016, Subdeacon Dr. Joshua Genig was ordained Deacon during a Hierarchical visit of His Grace Bishop John. The next spring, on June 4, 2017, the Feast of Pentecost, at St. Nicholas Patriarchal Cathedral in New York, Deacon Joshua was ordained to the Sacred Priesthood. On November 20, 2018, Fr. Joshua was appointed Rector of St. Innocent and Fr. Roman was appointed Rector Emeritus (Honorary) of St. Innocent. Thus, by God's grace, a new chapter in the life of the parish began. The physical temple of the Lord and church property has been greatly beautified and improved during the past thirty-three years. 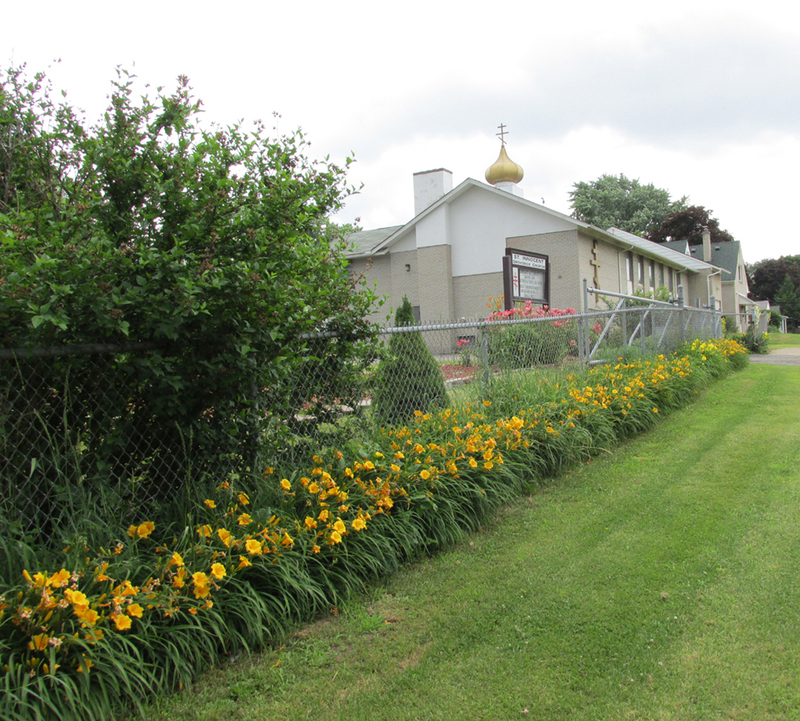 A garage was built; the parking lot was paved (originally in 1991, and then re-paved in 2016), and a fence erected; beautiful landscaping has been added, and continues to be expanded each summer (click here to see photo-show of the gardens and property). The interiors have seen remodeling in the kitchen, parish hall, priest’s house and office. In the temple, many things have been added, including: oriental rugs in the sanctuary and solea; cloth altar covers and altar-server’s robes in colors of the seasons; vigil-candle stands; oil candles in the sanctuary, solea and nave windows; and various new sacred vessels, to mention just a few additions. The latest significant improvement to the temple, done in October 2016, was to remove the stained, worn and burned 34-year-old carpeting in the sanctuary (altar) and solea, and replace it with more durable and maintainable wood. In 2006 additional relics were given to the parish, and Fr. Theodore also painted icons of these saints in July 2006, into which the small reliquaries were placed. These additional icons and relics include: St. Innocent of Alaska, patron of the parish’s monastic community (above, left); Nestor the Chronicler and Gerontius the Canonarch of the Kiev Caves; and the three newly-canonized spiritual daughters of St. Seraphim of Sarov: Abbess Alexandra, Schemanun Martha and Nun Yelena of Diveyevo Monastery. In the Fall of 2006 St. Innocent Church was further blessed to receive more saints’ relics: Patriarch St. Tikhon, who served as Bishop of America; St. Raphael of Brooklyn; St. Seraphim of Sarov (above, center); New Martyr Elizabeth of Moscow; and the new-martyr Hilarion, Bishop of Verey. Icons of each of these saints were painted in the Spring of 2007, plus icons of two other ancient saints without relics: St. Panteleimon and St. Moses the Black (above, right). Today, St. Innocent Church offers a fairly full liturgical life, following the Russian liturgical and musical tradition. All the Divine Services are in English, and are served in a simple, prayerful way in a spiritual atmosphere, enhanced by the presence of the 95 icons on the walls and ceililng, including 82 full-size icons of saints that cover every wall, plus the relics and panel icons and lampadas on the window ledges. Congregational participation is encouraged in the informal and intimate environment possible in a small parish. Regardless of racial or ethnic heritage, everyone is welcomed in the small, family-like environment.